The Misunderstood Potato - Something New Everyday! All the people who don't like eating vegetables have one thing in common- their love for anything potatoes. Potato is one such vegetable that tastes yummy in every form - mashed, baked, boiled, sweet, fried, you name it. Unfortunately, it has been given a bad reputation due to the misconception that it makes you fat, increases blood sugar, and causes heart problems and other health issues. Like they say, 'Blame the player, not the game' same way, 'Blame the method, not the potato!' Very few realize that it's the form in which we eat potatoes that matters more. Most of us choose fried and salty variety like French fries, cutlets, chips etc. but if eaten in baked/ roasted form it can prove to be really healthy. 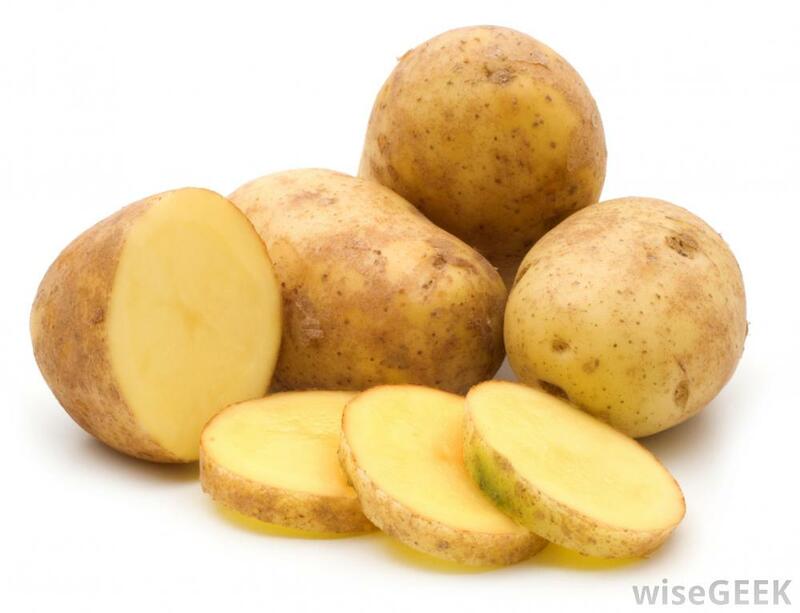 Energy: Potatoes are starchy carbs which provide energy instantly. It's a great snack when feeling weak, famished or tired. Since it is digested easily it is a boon for patients, babies and aged individuals who cannot eat hard food. Digestion: Potatoes have good amount of soluble fiber and with the skin it also provides insoluble finer which prevents constipation, reduces cholesterol and helps you feel fuller longer. Blood pressure: They are also a good source of potassium which helps control blood pressure and reduce water retention as well. Gum problems: There is a very high amount of vitamin C in potatoes which can prevent gum bleeding. Vitamin C is also necessary for collagen formation which helps heal the skin, wounds and bone cartilages. Cell building: The vitamin B6 content of potatoes is required for formation of new cells in the body and also for normal brain functioning. Heart diseases: Potato skin contains lot of phyto chemicals which which help protect against cardiovascular-disease by lowering levels of bad LDL - Cholesterol and keeping arteries fat-free. Eat them the right way and you will never disregard them. Did you Know? A bite of Potato is eaten before a meal. This helps the tongue become clear of any taste in your mouth and let's you fully enjoy the taste of food you are going to eat! ​How Often Should You Poop?